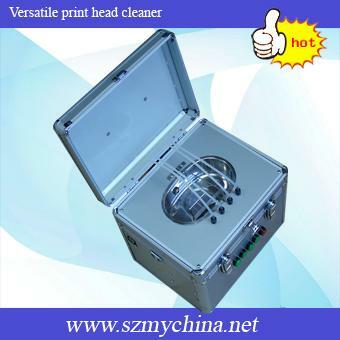 Print Head Cleaner is suitable for many kinds of out door print heads, such as XAAR, SEIKO, SPECTRA, KONIKA etc. 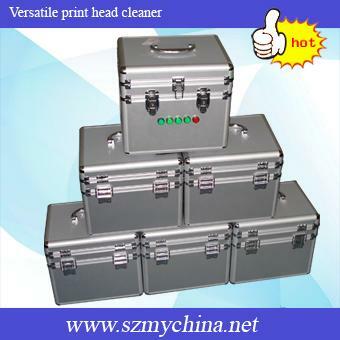 And also can use it for indoor print heads like HP, Canon, Epson etc. 6)Types of the spray nozzle that can be cleaned: XAAR, SEIKO, SPECTRA, KONIKA, EPSON and HP, Canon print head. 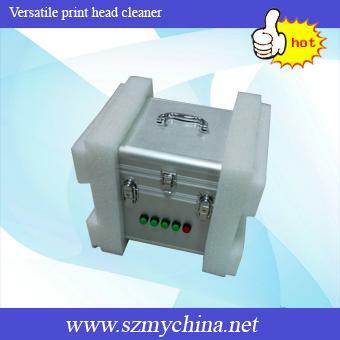 the print head shelf to suit for different kind of print head. Usually it can be clean in a few minute and back to work again like usual before it was. 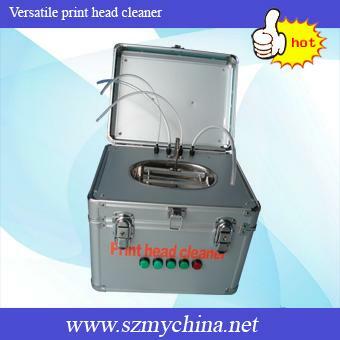 and decrease the waste for print head clog, save printing cost. 5) Press the corresponding green button, machine will fill fluid into print head, use pressure cleaning. That moment check the cleaning fluid come out from print head is soigne.